I think the key to not only surviving summer, but enjoying it is to have a plan. 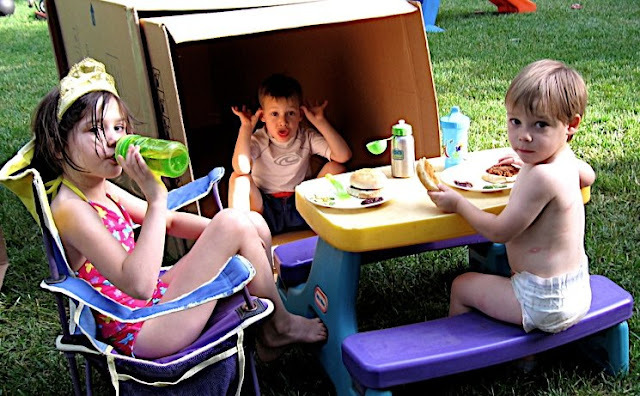 Before summer arrives, I think of all these fun things I want to do with the kids during the summer, but if I don’t sit down and plan them out, they will never happen. Even worse, on a day when I have nothing planned, the kids will whine, “Whatarewegonnadotodaaaaaaaaaaaaaaaay?” and I’ll have no ideas. So, I’ve compiled a list of things I hope to do this summer. This is an abridged version of the fuller list I put together for my MOPS group. These are just my personal picks for “must do” this summer. A lot of great places aren’t on my list simply because we’ve done them before and I want to hit some other spots. As we visit these places, I will check them off ( ) and link up to the related blog post. Read — get rewarded via Borders, Barnes & Nobles, Arlington Co., Fairfax Co, Falls Church. Visit the Library — storytimes programs at Arlington, Falls Church, etc. Having a plan for summer fun works for me. What’s on your summer to do list? Wow! I always learn something from you. I can’t wait to see the Flying Circus! Someone suggested Dutch Wonderland to me a while ago and I totally forgot about it! I’ll have to look into that this summer! Awesome planning! You will love Dutch Wonderland we went last summer and I liked it better than Disney for preschoolers. We had a blast! That’s a great list. I put my to do list up on my blog last week, but it was all stuff I want/need to do this summer. It had very little fun for the kids, LOL. We visited the butterfly garden’s at Wheaton’s Botanical Gardens when my mom visited. I enjoyed the park and the butterfly’s very much, but Erik did not like the butterfly’s flying all around and wanted to “get out of here”. Looks like you have a great summer planned. What a great list! My 22mo daughter and I are visiting the area, and it’s nice to have a list like this to refer to-especially the reviews! Thank you for all the great ideas!! !